As a 24 hr emergency locksmith in this industry, I understand the confusion associated with finding the right company to service your individual needs. That is why I recomend that you call me, to let me inform you as to the services I can provide or refer you to a Licensed individual that can assist in helping you. When you call, you will speak directly to me, not an opperator in a call center! I will give the most respectful honest over the phone estimate as possible. Leino’s Lock and Key (llkservice), has been open since early 2012, but in this short time my services have been used from multi-level office buildings in north Houston, all the way north to farm houses in New Waverly. I have also tried to be there for everyone in between who has ever been locked out of there car or lost their keys. I have become personally involved with the development of masterkeying several business and supplying them with electronic locking devices that control access on different levels of security and opperating systems. Owned and operated by Ralph Leino. I am Licensed and certified through the state of Texas Department of Public Safety,(DPS) License #B17805. When you are in need of help for anything related with keys, locks, or locking devices, make sure you know who you are letting in your home or office! 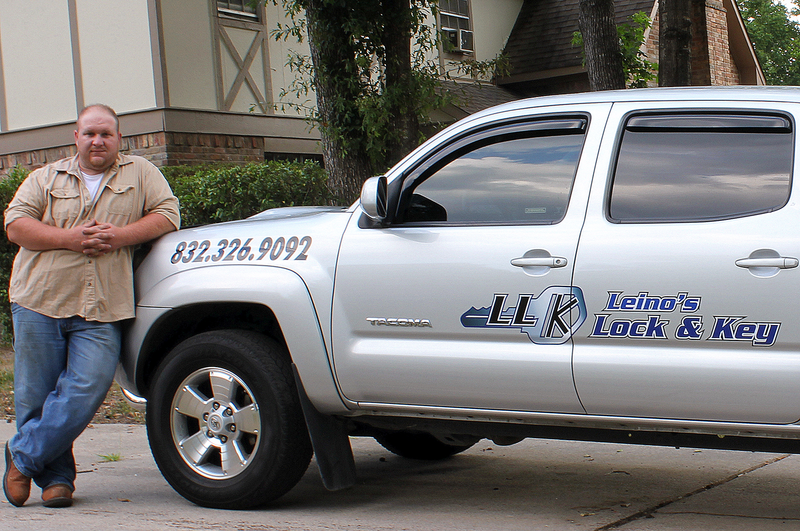 Leino’s Lock and Key, services The Woodlands, Spring, Conroe, Humble, Tomball, Montgomery, Willis, Magnolia, and surrounding areas for all of your locksmith needs. Coverage for emergency services too include: 77385, 77386, 77380, 77381, 77382, 77384, 77388, 77389, 77373, 77379, 77090, 77354, 77355, 77301, 77302, 77303, 77304, 77306, 77316, 77318, 77356, 77355, 77375, 77377, 77379.